Use TB56RJZ to reference this item. This TB is offered to bring awareness to Childhood Cancer and the fight against cancer by a little girl named Savannah. 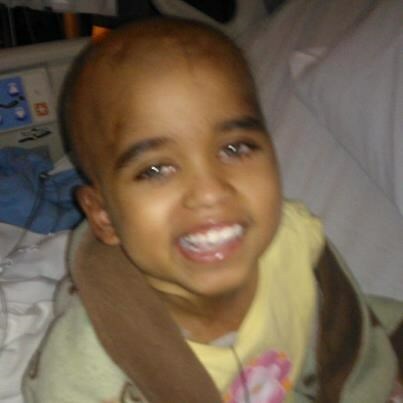 Please help Savannah's TB see the world. Post photos as you can. 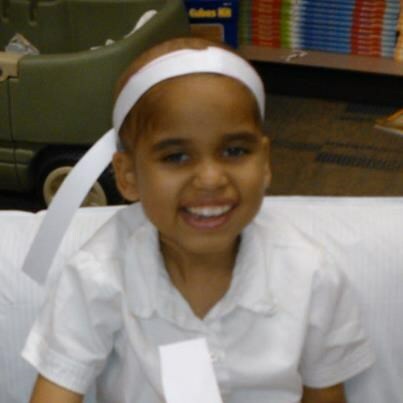 Help us celebrate Savannah's life and the lives of all the children fighting cancer. They ride tricycles in the hallway, not in the park. They know the names of treatments instead of their classmates. Their central lines have names. Nurses and doctors are their new family. They think hair is overrated. Their laughter can make a heart melt. Their strength will make a grown person cry. If you've ever seen a kid fight cancer, it will change your life forever! This Travel Bug is for a little girl named Savannah. Savannah is beautiful little girl that came into our lives via Ms. Doherty's first grade classroom. She has brain and spine cancer. It is difficult to understand the how's and why's of life and it is painful when we see people suffer. Let's hope that some day we find a cure for cancer. "I am the luckiest teacher in the world. I get to say I am the teacher of these two girls. I have a student named Savannah who was gone for almost two months going through some serious treatment for her cancer. When you meet her, you just fall in love. I sure did! She returned to school on Wednesday, April 18th. Her best friend Jayden was so happy to have her back. We all were. On Thursday, Jayden went home upset. She told her mom she wanted to shave her. When her mom asked her why, she said, "Because some kids were making fun of Savannah. They don't know how sick she is they shouldn't be doing it." She then proceeded to tell her mom she wanted to shave "her" head. Her mom was shocked and asked her "Why?" Jayden said without hesitation, "That way they can make fun of me instead." 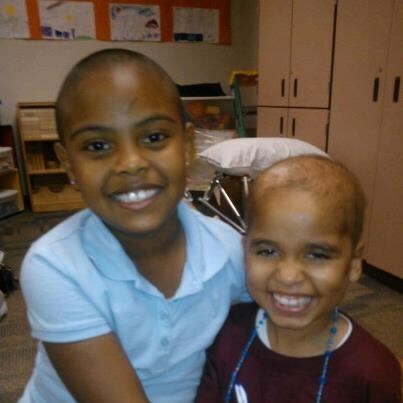 With support from her parents....Jayden came to school on Friday with a shaved head. I saw her and was surprised. I said, "Hey Jayden, I like your new hair cut." She said, "I did this for Savannah." I was in shock and began to cry. She made every person she came in contact with cry. Jayden turned to me and asked, "Why is everyone crying?" I said, "Jayden, you have NO idea what you just did!" Jayden said, "Mrs. Doherty, it's just hair." Lesson learned my two angels...lesson learned. I love you~"
For my wife, Michelle and for this little angel, Savannah I offer this Travel Bug to the Geocaching community to honor her fight. Récupéré lors du Géo-Nord ce 14 juillet 2018.